Potato Colorado beetle is a great disgrace. It attacks with passion the crops and its favorite are potatoes, eggplants, tomatoes, and what is found in the back of the house. The first solution to get rid of the Colorado beetle is to give up planting potatoes in the garden. One of the most effective solutions is picking Colorado beetles in the warm days and destroying the larvae on the back of the leaves. It’s not a pleasant job, but it’s the best way to get rid of them. It is better to collect the beetles and put them in a jar of water, where they leave for about a week. 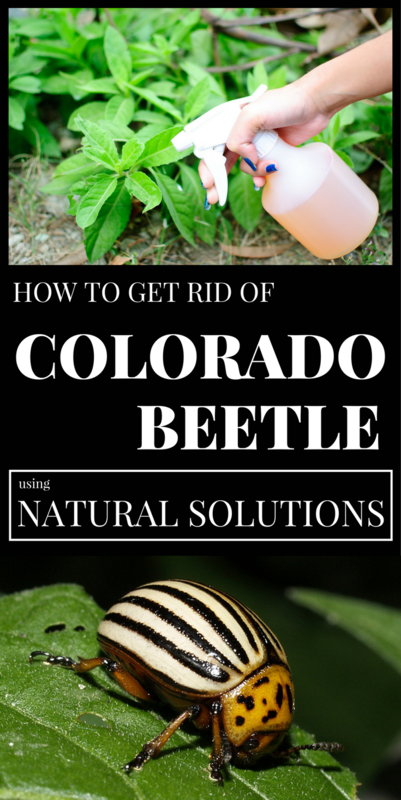 You’ll get a bio solution, very effective to kill Colorado beetles. Use 100-200 milliliters of solution per liter of water, which you’ll spray on the plants. Some substance from this macerate will kill Colorado beetles. Another great solution is the aromatic plants and chili peppers, planted along with tomatoes, eggplants and potato seedlings. They act as guards and will put the Colorado beetle on the run. Cucumbers, calendula, beet, onion and garlic are also fearful guards for tomatoes and eggplants and especially for potatoes. The smell of these plants will send away Colorado beetle, but also other pests. Hot pepper infusion is the best solution for all pests from your crop garden, being effective in fighting the Colorado beetle. Take 10-20 pieces of hot pepper, cut them into pieces and pour boiled water over them, and leave to infuse for 12-24 hours. Dilute the solution with soapy water (1 tablespoon of liquid soap or dishwashing detergent in two liters of water) in a ratio of 0.5 liters per liter of soap solution so that the mixture adheres to the surface of the leaves.